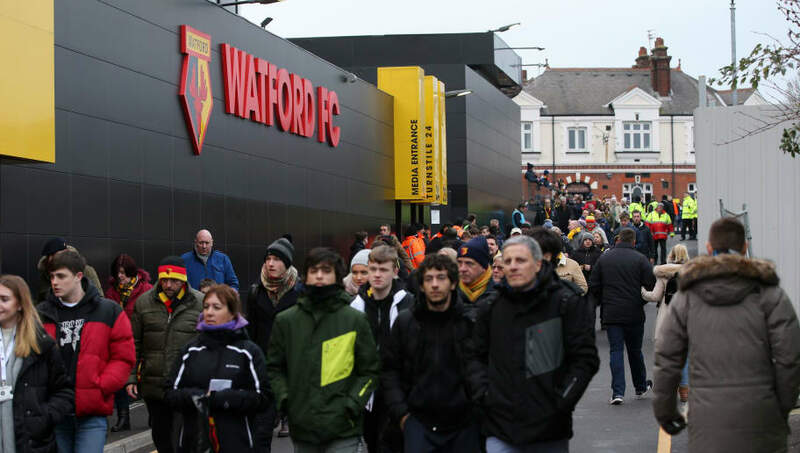 ​Four arrests have been made following the violence which took place outside Vicarage Road and left two men needing hospital treatment, following Watford’s Premier League clash against Everton on Saturday. A spokesperson said of the incident: “At around 5.10pm, an altercation occurred between a group of men. Saturday’s events follow last month’s incident of violence in which Everton fans were caught up in similar altercations with Millwall supporters following the FA Cup tie between the two sides at the Den. Watford were victorious over former boss Marco Silva and his Everton side in Saturday’s game, as the Hornets got the edge over the visitors with a 1-0 win.